WiRan is comprehensive provider of solutions related to Radio Frequency technology with experience in military, railway, IoT (LoRa and NB-IoT based) and space markets. 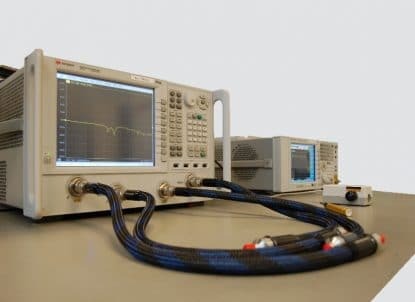 Company’s RF Design Office is capable of realizing projects from specification draft up to working prototype including dedicated testing procedures to assure you of products quality. Our engineers can provide their experience in EMC troubleshooting and reassuring that tested device is compliant to EMC standards. Specialized equipment and infrastructure dedicated for electronics/RF design and antenna measurements. Staff experienced in RF, electronic, antenna and IoT design emphasizing innovative and optimal solutions. Theoretical knowledge, gained on Microwave and Antenna Engineering Department of Gdansk University of Technology is transferred into innovative concepts. Laboratory is capable of dedicated DC/LF/high frequency tests up to 43 GHz (stationary) or 26 GHz (mobile/on site). 0,6m³ climatic chamber (-40 to +180°C; humidity regulation) allows us to perform harsh environmental tests and 3x3x4,5m and Faraday Cage lets us perform EM sensitive tests in radio silence. Extensive experience of our engineers guarantees credibility and dependability of performed measurements.